Browsing Tempurpedic reviews can be a helpful way to learn about the popular memory memory foam mattress brand and see whether or not their beds might be a good choice for you. 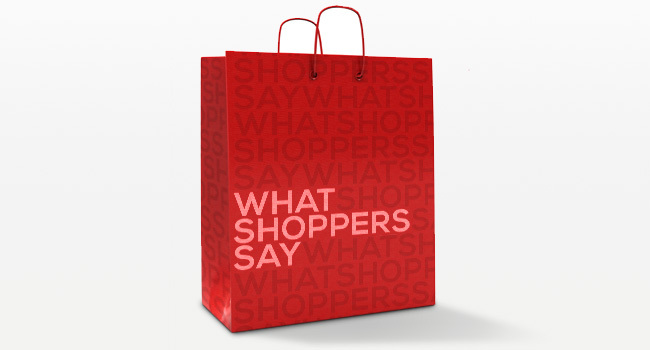 Reviews offer a real-life look into what shoppers have to say, which typically offers a fuller look than portrayed by marketing and sales people. The company’s commercials claim their beds are the most highly recommended in America, but do Tempurpedic reviews back this up? Keep reading to learn about the pros and cons of owning a Tempurpedic mattress. The Tempurpedic brand was introduced over 20 years ago, and is responsible for popularizing the memory foam mattress. They’ve since risen to the ranks of the top mattress brands and recently acquired innerspring giant Sealy. Tempurpedic’s offerings still revolve around memory foam, though they have also expanded into hybrids and adjustable bases as well. The brand is positioned as a luxury line, with prices at the higher end of the spectrum. Queen size beds range from $1099 to $7499 depending on the model. Four lines form the core of the brand: Contour, Tempur-Weightless, Tempur-Cloud, and Simplicity. The Contour collection includes classic high-density, high-contouring memory foam with the Contour Select, Contour Signature, Rhapsody, Allura and Grand models. The Weightless collection uses a medium-density foam with less contouring and includes the Weightless Select and Supreme beds. The Cloud collection encompasses the brand’s softer selections with the Cloud, Select, Supreme and Luxe models. The Simplicity collection is Tempurpedic’s budget-minded option with a thinner layer of low-density memory foam in 3 firmnesses. Some of the models also have Breeze variations with more breathable fabric. In the reviews described below, we will look at the brand as a whole, and then compare the different models. Overall, Tempurpedic reviews on the brand’s website show an average rating of 3.69 out of 5 from over 433 reviews for all mattresses combined. Of these reviews, about 7.4% complain of heat and 7.9% complain of string odors. Another independent website, SleepLikeTheDead.com, also tracks reviews and offers a slightly different account. They place the average owner satisfaction from Tempurpedic reviews at 80%, which is also the average for all memory foam brands. The Cloud and Contour lines are given slightly higher scores, while the Rhapsody and Simplicity come in slightly lower. The website gives the brand positive scores for lifespan, pain relief, motion isolation and warranty. However, they have average to below average scores on affordability, ease of movement, odor, and heat. About 19% of reviewers complain of odor and 10-14% complain of heat, according to SleepLikeTheDead. 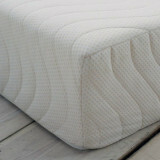 Advantages highlighted in Tempurpedic reviews include reductions in pain, durability, and good return terms. More people than not report reduced back pain and pressure points with the brands’ beds, which is a key benefit of memory foam. The temperature sensitive material softens with body temperature and contours to support natural alignment. The durability of most Tempurpedic beds appears to be fairly good, with an average lifespan of about 10 years. There are few complaints of sagging compared to spring mattresses for most models. Another trait lauded in reviews is the company’s 90 day return policy, which allows customers to exchange or return for a different model if needed. Potential downsides from Tempurpedic reviews include heat, odor, difficulty moving, costs, break-in periods, and differences in showroom versus delivered beds. In reviews on their website, about 8% of people mention uncomfortable heat, although other sources say up to 15% of owners report excess heat, especially on higher-density models. Chemical odors for the first few days to weeks are mentioned by 8 to 20% of owners, though this is a temporary annoyance for most people. Another issue mentioned by a portion of owners in reviews is difficulty moving, turning or getting out bed. This is due to thicker layers of slow-response, highly-contouring memory foam which does not “spring back” like other materials and takes several seconds to come back. Prices, as expected, are another point of contention with reviewers, who often deduct stars or mention that the cost is too high for the product, and Tempurpedic does tend to be 30-60% higher than leading competitors. 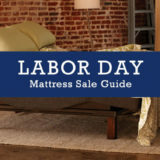 Several Tempurpedic reviews also mention that the mattresses can take several weeks or months to acclimate to when coming from a traditional spring bed, with some back pain in the interim. The other issue mentioned with significant frequency in reviews is that many people claim showroom mattresses are softer (or sometimes firmer) than the beds they receive, even after break in periods. Tempurpedic is prominent brand associated with luxury as well as novelty, as they offer an alternative to other big brands’ spring beds. The brand has made a name for itself over the past twenty years as many people find their products comfortable, and Tempurpedic reviews do indeed show higher average satisfaction compared to innerspring beds. 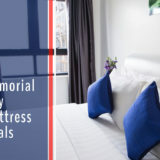 However, there are other memory foam and latex mattresses out there that receive higher reviews, and no one mattress will work for every body type. 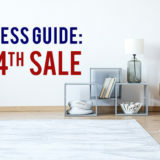 If you are considering this mattress brand, read through available Tempurpedic reviews from several different sources to get the broadest picture, test options, and compare your findings with other brands to find the best comfort and value for you.